Alphabet Inc’s Waymo, an autonomous car company, could have just unlocked a rather displeasing future for the heavily indebted consumer, one where corporate America uses self-driving vehicles to herd the bottom 90 percent to brick and mortar retail stores. 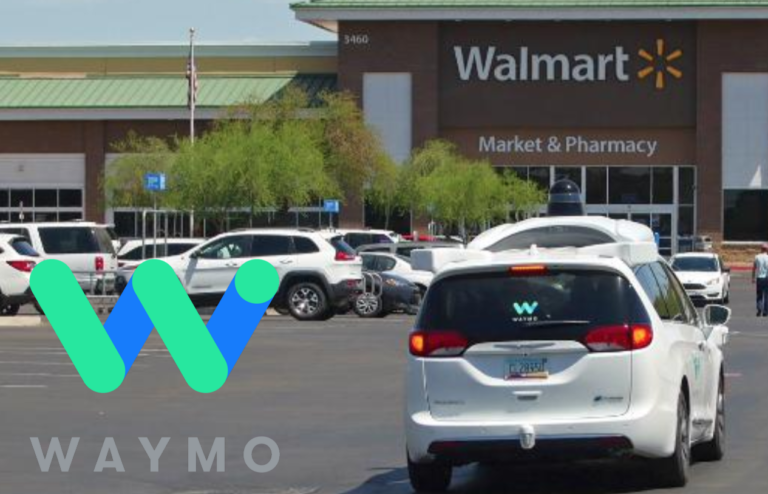 In fact, this is now a reality, as Waymo and Walmart have launched a pilot program to ferry customers back and forth from home to Walmart’s store in Phoenix, Arizona, the company blog said on Wednesday. “Those in the pilot simply place an Online Grocery Pickup order at walmart.com/grocery. Our personal shoppers get to work meticulously picking customers’ orders based on their pickup times. Waymo does the rest! They transport customers to and from pickup, and all the while, those customers can text, nap, work… you name it!” explained Ward. It is almost like herding cattle! Maybe this novel idea could save crumbling brick and mortar stores? According to Reuters, Waymo also partnered with DDR Corp., a real estate investment trust that owns shopping centers, offering customers self-driving vehicles to and from the Ahwatukee Foothills Towne Center in Chandler, Arizona. Additionally, the company will give patrons of AutoNation repair centers self-driving vehicles while their cars are being serviced, along with assisting customers at Avis Budget in Phoenix to pick up or drop off rental cars. While technology has certainly made it easier for consumers to shop online [Amazon], Walmart and other competitors have been developing self-driving vehicles for home deliveries. However, the Waymo and Walmart partnership is an entirely new concept to lure customers away from Amazon and divert them to collapsing brick and mortar with autonomous vehicles. “These businesses are national and what we learn from these programs will give us a network of partners when we launch in new cities down the road,” the Walmart blog said. Back in March, Waymo made a massive deal with Jaguar Land Rover for 20,000 self-driving all-electric I-Pace SUVs. A short time later, the company worked out an even larger deal with Fiat Chrysler Automobiles for 62,000 Pacifica Hybrid minivans. The first prototype I-Pace self-driving Waymo is expected to be delivered by the end of 2018, and if the pilot run is a success, it could become part of Waymo’s commercial ride-hailing service starting in 2020. Autonomous cars have gained much attention in 2018. Waymo vehicles have been involved in numerous crashes since the Phoenix-area pilot program launched in the first half of 2017, but law enforcement has determined all accidents were human-error. In March, a “software bug” in an autonomous Uber vehicle killed a 49-year-old woman in Tempe, Arizona. WALL-E gives an accurate portrayal of what corporate America has in store for the heavily indebted bottom 90 percent. Instead of consumers being whisked around on floating chairs to retail stores on a futuristic spaceship, it seems as today’s equivalent technology are Waymo’s self-driving cars ferrying back and forth to consumers home.